Apple is offering its employees 'iBikes' to move between campuses in Cupertino, according to MacMagazine. 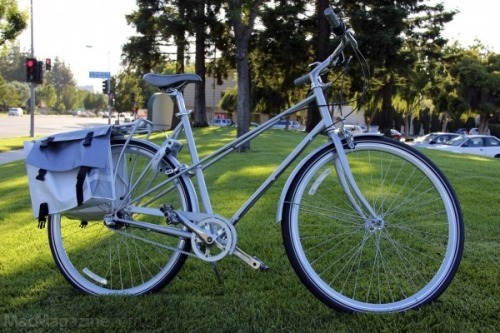 There is no iBike (although this is horrible), but the bikes that Apple is now offering its employees are all aluminum, very good taste, have only three gears (heavy, light and normal) and still have a bag for MacBook, Cases, and the like. Apple recently leased office space for about 1,300 at Results Way Corporate Center and is planning to build a 12,000 person mothership campus in Cupertino.